Note: This game was played on a NES 101 (top loader) console that has been modified to output in AV (red, yellow, white), just like the original NES. The NES was connected to a 25-inch HD tv. The original World 1 stages have been replaced with the Lost Levels. 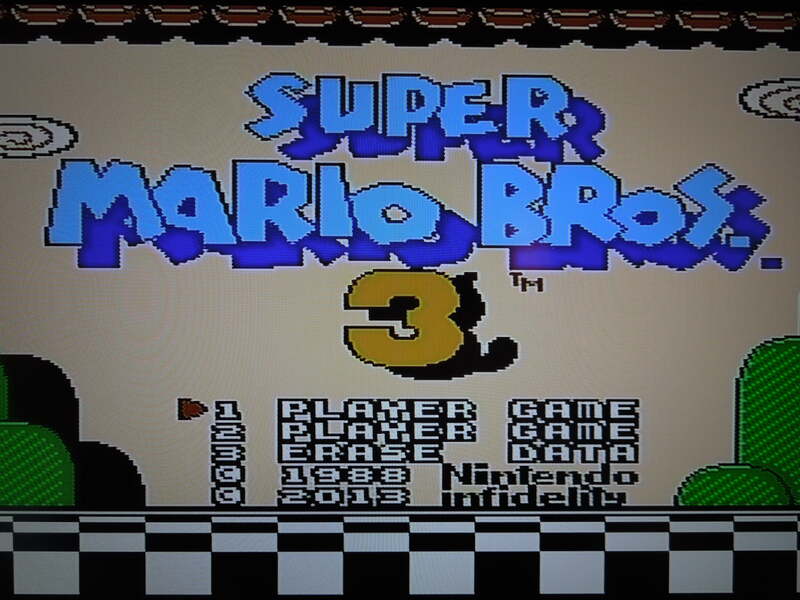 Quick History: When Super Mario Bros. 3 was released for the NES in 1990, approximately 12 ‘levels’ were left out of the game proper, yet these levels were accessible using a Game Genie device since they still existed within the game’s source code. Some of these levels were incomplete, too easy, or glitchy, hence the likely reasons why they weren’t included in the game. 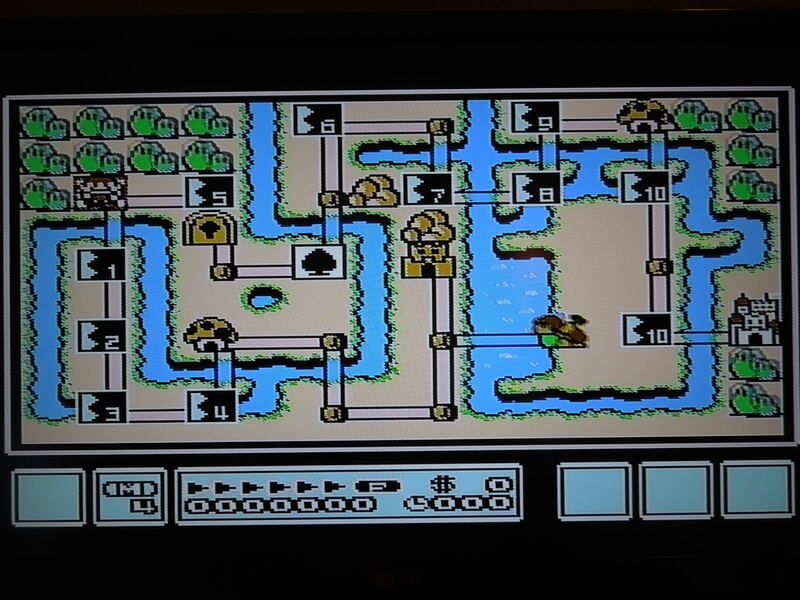 Today, however, modders have created a version of SMB3 that inserts the 12 missing levels into the first world of the game (replacing the original levels). The levels have mostly remained unchanged; however, some of the levels previously had no ‘end,’ so endings were added to allow players to complete each level. Changes from the original SMB3: All of the stages from World 1 have been removed, and in their place are the 12 Lost Levels. The castle/air ship battle is still the same for World 1. 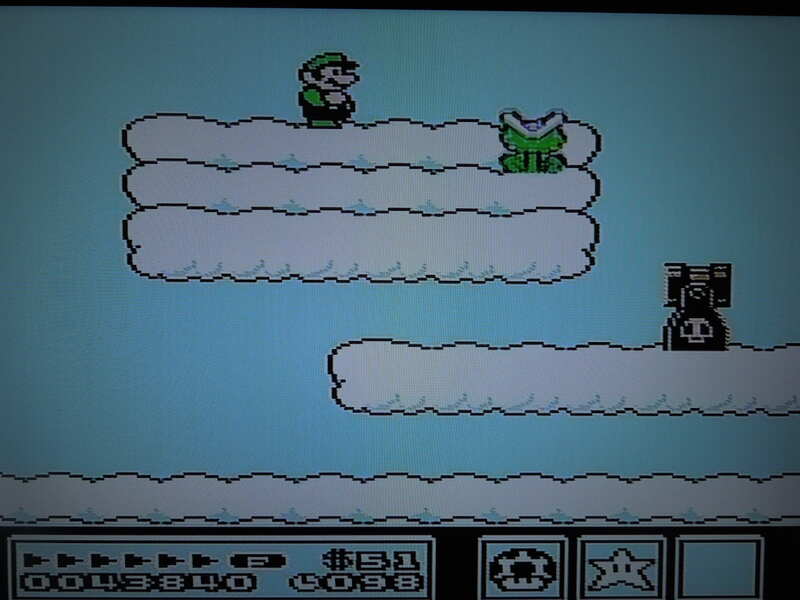 Following the Lost Levels in World 1, you can play through the rest of the worlds of SMB3, with one difference – many of the other world’s levels are not there! For example, the Fortress level in World 2 cannot be played, because the Fortress has already been destroyed when you arrive in World 2! Many of the worlds have A LOT of levels that have been, for some reason, taken out, and they are marked with an ‘L’ or ‘M’ as if they had already been beaten. This may have something to do with the game’s glitchy save feature. Saving: That’s right, you can save your game in The Lost Levels! After every level, the game auto-saves your progress. So, if you beat the first 2 levels of World 1, you can turn off the system, come back later, and pick up where you left off at World 1, level 3! Most of the time, this works the way it should. Unfortunately, however, the saving feature malfunctions sometimes. I played the game and made it to World 7, and turned off the game. When I turned it on later to play, I was back at World 1! All of the levels of World 1 were still beaten, and I had all of my items that I’d gained on my way to World 7, but I was stuck in the World 1 map! So, I had to reset the game and ‘Erase Data’ and start back over. So, essentially, this game is best played through in a single sitting because of the inconsistency of the save feature. The Lost Levels adds an auto-save feature. The Lost Levels: The main reason to play the game is for the actual ‘lost’ levels, of course. The levels, for the most part, don’t feel like they fit in with the rest of the game. Stage 5 had no proper ending (where you grab a Mushroom, Flower, or Star card), and ends when you grab a treasure box with a Cloud item in it. The Fortress lost level simply has rooms full of power-ups and 1UPs, then a boss fight – that’s it. A few of the other stages have the ‘card’ endings that levels traditionally have, although it appears that modders inserted them into random places (although this was necessary, of course, to allow players to ‘beat’ the level). 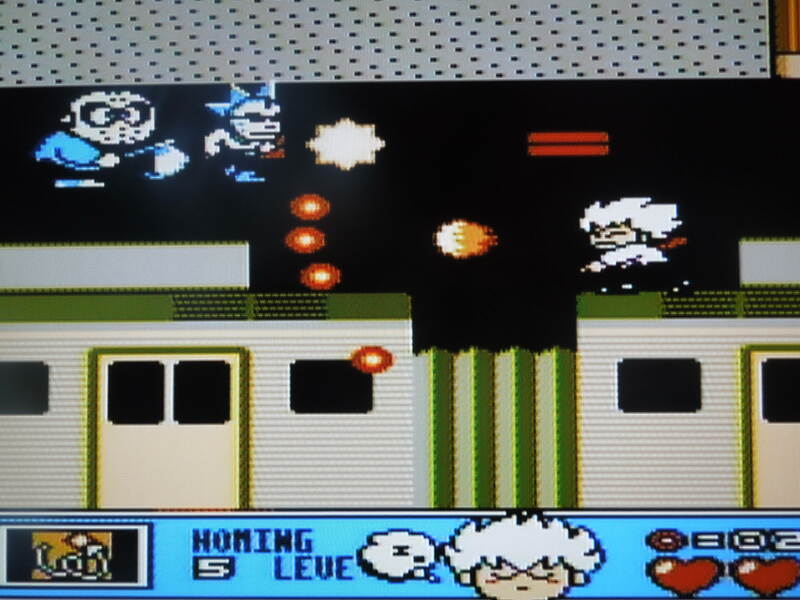 Many of the stages have color glitches, or enemies stuck in walls. Despite all these things, however, the lost levels are still fun. Stage 8 is a challenging swimming level that includes an enemy not found in the official release of SMB3 – the gold cheep cheep (fish). Card Game Glitch: Another glitch I found while playing through the game was the Card-Matching Game glitch. Occasionally, the card game would constantly reappear on the world map in the exact spot where I was standing, causing me to continuously play the game until I matched all the right cards. While this was a good way to gain items, it was really frustrating because I was forced to play the game without being able to move to another spot on the map. 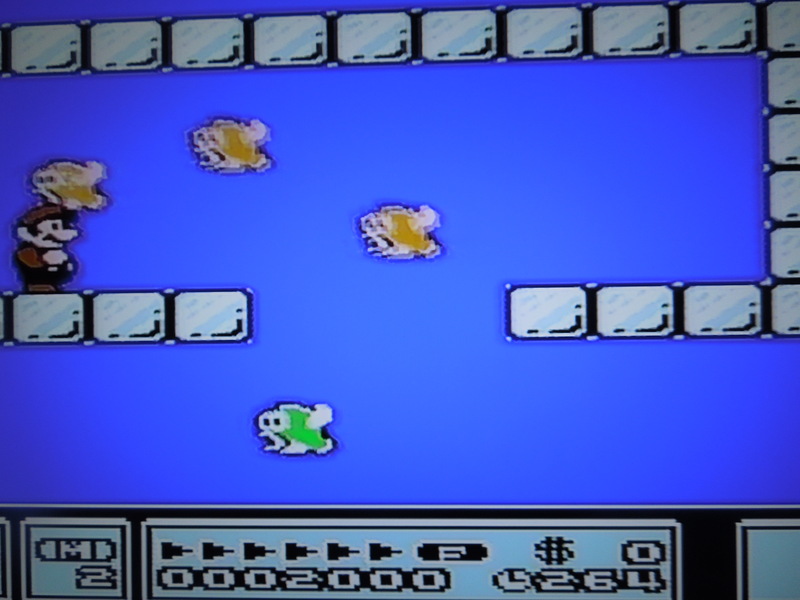 Perhaps the best lost level is Stage 8, a swimming level that includes the gold cheep cheep enemy – an enemy that wasn’t included in any stage in the official release of SMB3. So, where can I find this game? I found a copy for sale on eBay. It has Flashback Entertainment on the game sticker, which I believe is an NES reproduction website. I believe the modded rom can be found online. 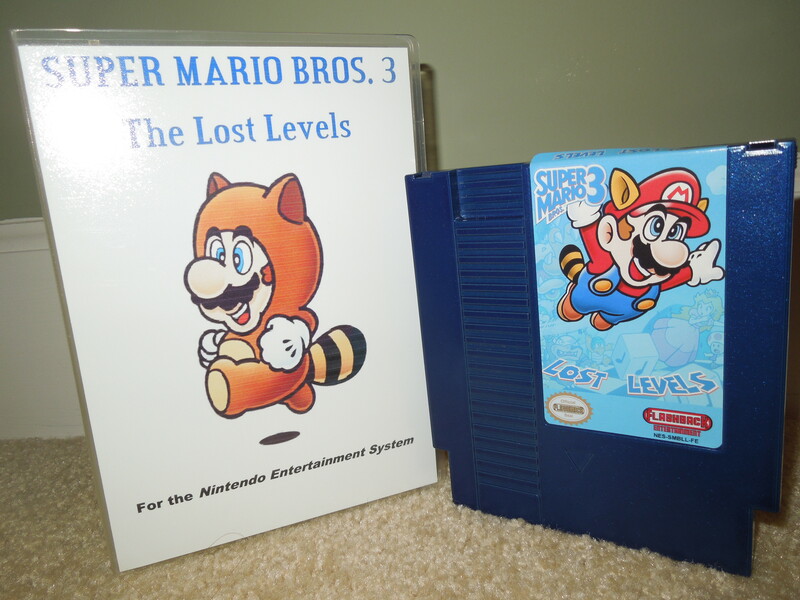 Conclusion: The Lost Levels is essentially an abridged version of the original Super Mario Bros. 3 that includes the 12 levels that were left out of the original game minus many of the other levels from the rest of the game. Although it has a save feature, which is most welcome, it does not function the way it should, meaning the game is best enjoyed when you have the time to sit down and play through it in one sitting, just like the original release. *On a side note, you can only obtain one Warp Whistle since the original World 1 whistles are no longer available. 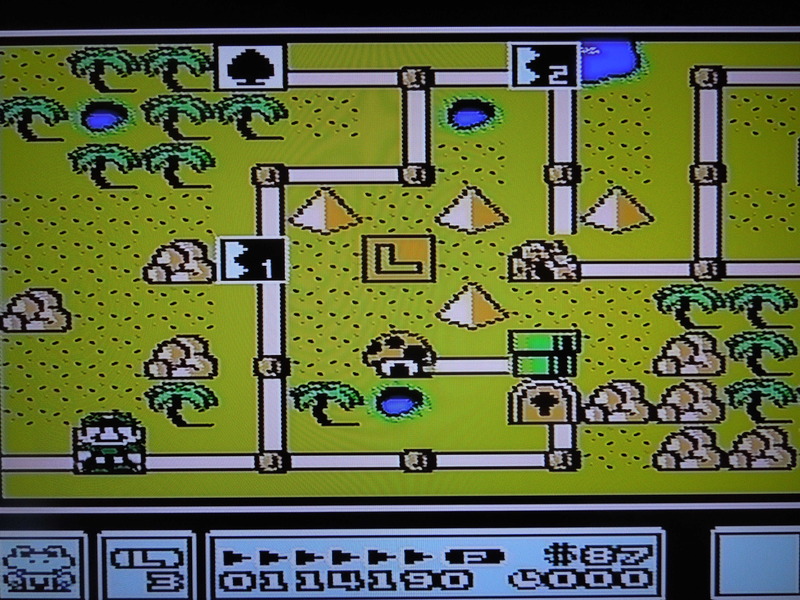 The lost levels themselves in World 1 are short but fun.